High tension outlet cover for use with single and dual output digital ignition coils (IC11 and IC12).As pre-fitted to ready-made ht leads, supplied with full Smart Fire ignition systems. 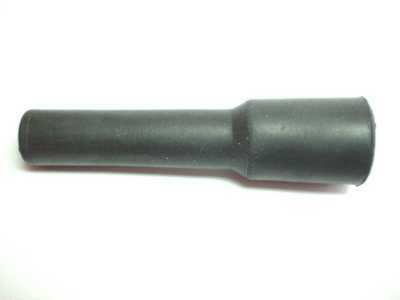 Fits 7mm ht lead (plug wire), available separately (HTL). Two covers required for dual output type (IC12). HT crimps (HTCD), complete HT leads (HTLD) and plug caps available separately.